It's tax time! Don't let April 15th sneak up on you this year. Many tax forms are now available at George W. Hawkes Central branch (and will be ready at the branches soon, if they aren't already). Hurry and get yours today before we run out. It might even be a good idea to get a few of extras. You know, in case you mess up a couple of times. 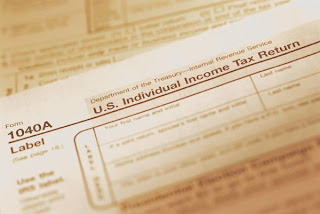 If you find that you need a form that we don't have, a staff member would be happy to print it off from the IRS website for a small fee of fifteen cents per page. Also, don't forget to check out our AARP Tax-Aide Tax Filing Assistance!